I am so so SO proud of these! I did, however, completely misjudge Jude's size and they will not fit him correctly until *next* winter. Oh well. 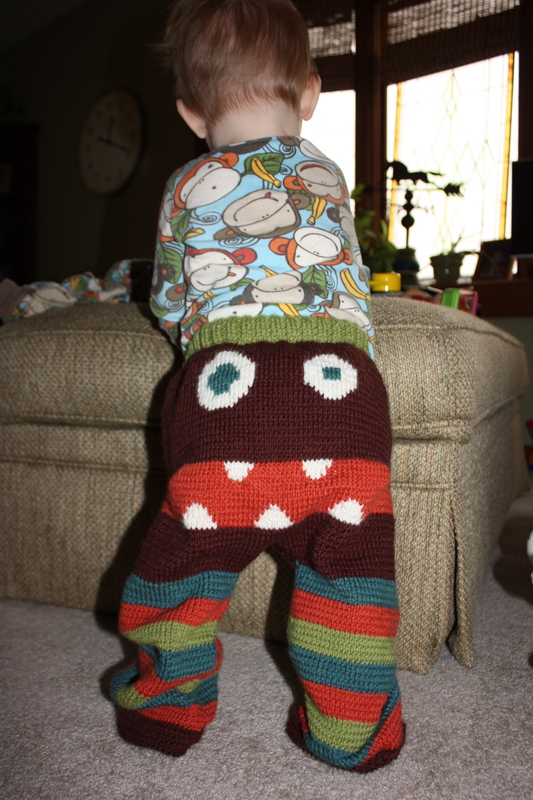 He will have cute monster booty pants to keep him warm during Moldova's cold winter.